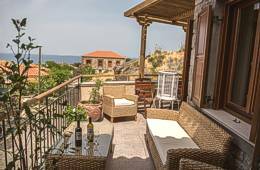 Inspired by the majestic and traditional houses overlooking the sea among the Greek islands, our vacation homes are designed to magically merge modern conveniences with elegant history. 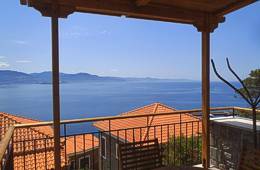 Each of our houses have breathtaking views of Lesvos. Guests are welcomed into luxurious self-catering accommodations. Perfect for family holidays, friends vacationing together, or romantic escapes, each of our houses will provide a beautiful and spacious environment for making memories that last a lifetime. Comfortable and luxurious interior with stunning vista.